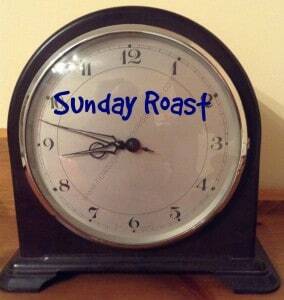 Times are changing and having a roast every Sunday is changing; on a Sunday we had a roast, it was the expected meal. However, this was before Sunday opening with shops; a Sunday was at home or with family doing tasks around the home, with the most popular meat choice was roast beef. Since those days of my childhood are a long distant memory and my children are growing up fast, the roast is becoming part of the group of meals that are for special occasions and are not a weekly occurrence. There are changes to the working week with more people working weekend shifts where having a roast every Sunday isn’t always the practical option. Cooking a roast dinner no longer needs to tie you to the kitchen, the key to making the perfect roast dinner is in the timing of when different parts of the meal need turning on. It is possible to find easy recipes that are healthy too. It is important that if you are including a roast into your meal plan that you budget for the extra cost of the meat. It is costly to feed a family with a roast, but there are ways in which you can reduce the costs involved. Included lots of seasonal vegetables, these are cheaper and filling a plate with cheaper options can reduce the amount of meat you need. Try using Yorkshire puddings and stuffing as an option to fill up your family to reduce the costs of some of the more expensive areas. Chicken is often the cheaper meat available and this can make the meal more affordable rather than going for the more expensive meats like a roast beef joint. Eating out is a great way to eat a roast and there is no washing up either, but it is important that you are able to add this expense into your monthly budget. It is important to consider having a treat and this is a great way to connect with your family, it focuses the attention on the food and conversation rather than worrying if you have left something in the oven. The Sunday roast is a traditional British and Irish main meal that is traditionally served on Sundays but can be eaten on any day of the week, consisting of roasted meat, roast potato or mashed potato, with accompaniments such as Yorkshire pudding, stuffing, vegetables and gravy. It is important in the modern world that we consider the food that we put in our bodies and this is possible when eating a roast. There are healthy recipes that reduce the calories in a typical roast. It is possible to remove as much of the fat from the meat you are going to cook as well as the skin, some people thinks this dries out the meat too much, if you leave it on don’t eat it. If you use the meat to make the gravy you are not necessarily just getting the flavour out of the meat but also the fat. For this reason, it is important that you consider how you make the gravy to go with your meal. You can use a mix or you can make it the old-fashioned way just without all the added fat. It is possible to make any meal healthier, it is important with more and more jobs that are office bound and people consuming high calorie food, and people taking less exercise, you should monitor high calorie food carefully. Therefore, if you are looking for the perfect roast it is important to reduce the fat content. It is possible to have a roast dinner occasionally if you plan it into your budget and maybe increase the seasonal vegetables that are cheaper and reduce the amount of meat on the plates. It means this popular meal combination is possible, but not every week, if your budget doesn’t allow this and becomes a treat, rather than a necessity every week.